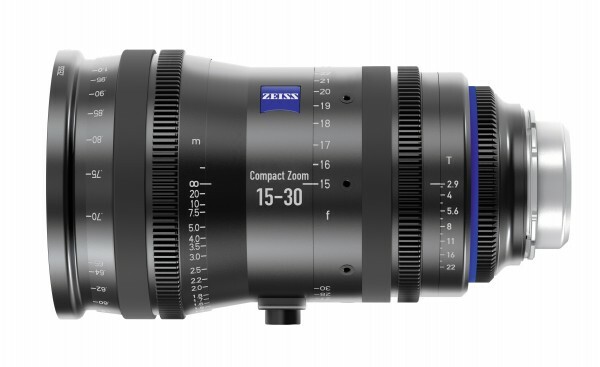 Zeiss has released a new cine zoom lens, the CZ.2 15-30/T2.9, which complements the existing CZ.2 70-200mm T2.9 and CZ.2 28-80mm T2.9 lenses. As with other Zeiss CZ.2 lenses, the new 15-30mm T2.9 has an interchangeable mount system for compatibility with PL, EF, F, MFT and E mounts. The lens is compatible with full frame (e.g., 5D Mark III) and APS-C (e.g., EOS C300) cameras. Pricing for the new CZ.2 15-30/T2.9 will be under €20,000. Based on the US prices of the other CZ.2 lenses, the new lens will probably land at $19,900 in the US. It should be available to buy in April 2014. Start saving now.